I just stumbled upon the St. James Park Website and found a lot of great information in there about upcoming events and initiatives. 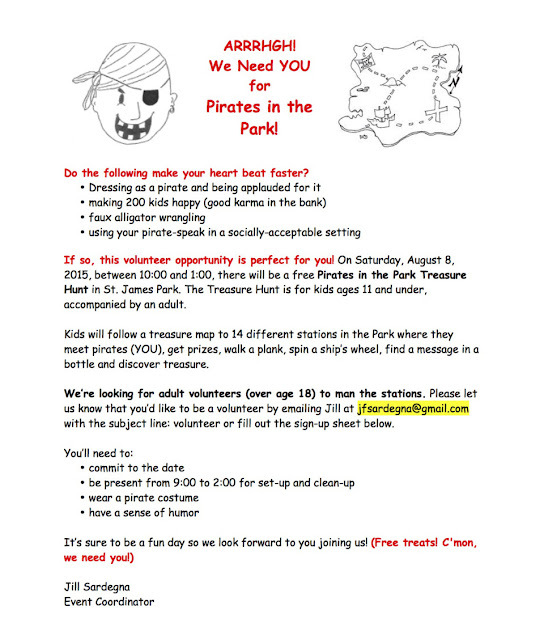 One such event is called "Pirates in the Park." This is a treasure hunt for kids 11 and under as well as pirate-themed activities. It is happening on Saturday, August 8th between 10:00am and 1:00pm. If you are interested in volunteering and helping make the park a better place for everyone, head over here. Next up we have an event more catered towards adults on August 15th called the Chacho's Taco Festival. There will be taco stands, tecate beer, live music, lucha libre, food trucks, a car show, and a taco-eating contest (which San Jose should dominate given we now have two stars in the "sport"). 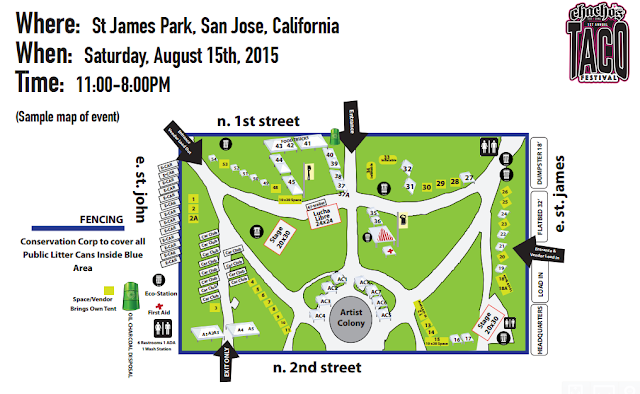 The event will run from 11am to 8pm and you can get all of the details along with a map over here. There is a social entrepreneurship venture called KARTMA street cafe which is partially funded by the Knight Foundation and Ebay Foundation. 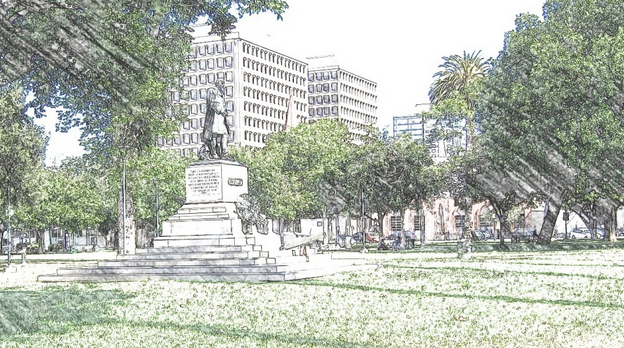 This concept brings an eco-friendly coffee shop to St. James Park with the goal of employing the homeless and teaching them skills that can be used to land jobs in other cafes. For more info or to help raise the last $6k needed to get the cafe off the ground, head over to their Indiegogo campaign (10 days left, nearly fully funded). The St. James Park website also have some great historical resources, including the full audio from a speech that John F. Kennedy gave while on the campaign trail there and a great video detailing the full history of the (in)famous park. There is a page on development happening around the park, future projects in the park such as the Levitt Pavilion, and a full list of special events. I highly recommend checking it out over here and hopefully together we can restore this park to once again be an asset we can all be proud of.